The world has gotten smaller, but it certainly hasn't gotten any easier for Canadians trying to buy Japanese books. Since coming home, I've spent considerably more money on shipping reading material to me than I am on the reading material itself...and the selection is very hit-or-miss when I do find an online business (usually American) that will send me my books affordably. On a few occasions, I've bought from Bookweb, the online version of Kinokuniya U.S.; as well as Amazon.jp, to great expense. 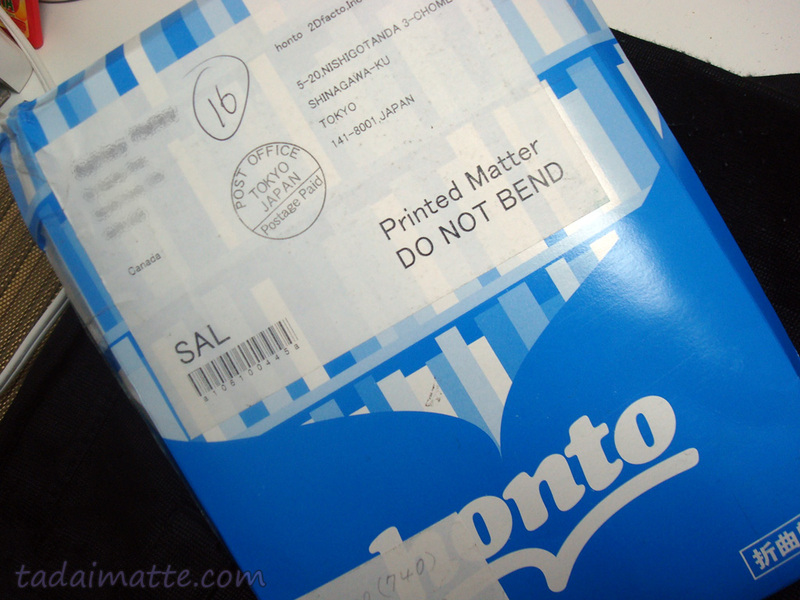 However, I may have found a great solution this time with Honto, a Japanese site that offers at-cost shipping abroad. The two books I purchased from them cost me ¥800 in shipping; pretty much exactly what I would have spent had I walked down to the Japan Post office in Osaka myself, and I paid the cover price on the books rather than the import markup. Great deal! Kinokuniya U.S. is fast and has plenty in stock, but paying double the cover price AND their pricey shipping to Canada is rough, so I'm thrilled to find Honto. Just click on the tab for International Shipping when it asks you to input your address, and away you go! Any other readers have suggestions for Japanese online bookshops? I'd love to hear them!